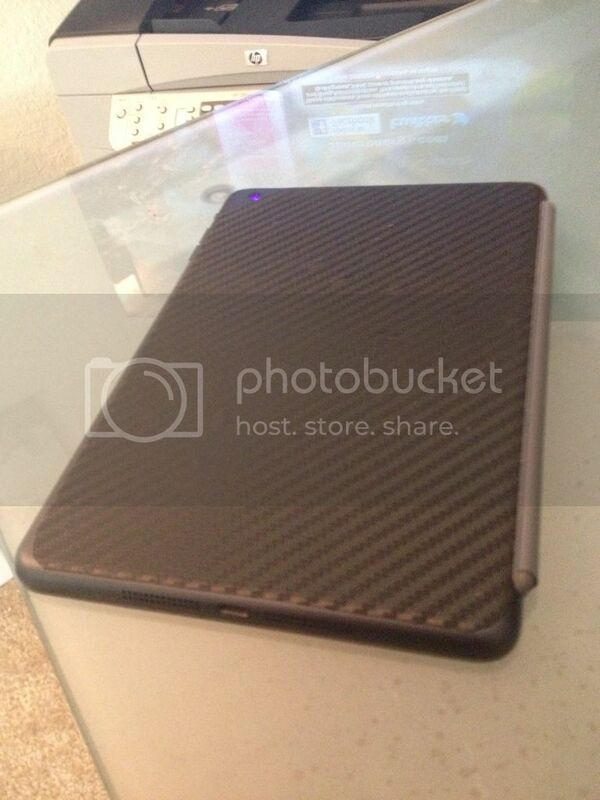 iPad mini Are you guys using screen protectors with your minis? Discussion in 'iPad Accessories' started by Swayzee, Nov 4, 2012. I plan to get the red smart cover either tomorrow or Tuesday, but i was wondering how you guys feel about the screen? I know personally i use a screen cover on my iphone ever since i scratched it by accidentally putting it in the same pocket with my car key. Since i will be using a smart cover, do you guys think a screen protector is necessary? Also what do you guys think of the BRUSHED METAL back from lucky labs? Currently I have a screen protector and a smart cover combo. I know its probably more than I need but extra protection does not hurt. Besides, the screen protector was only a few bucks so why not add it. I am also using a modified TPU soft case so it fits perfectly with my smart cover. I put a screen protector on all my iOS devices. It's saved me many scratches, and help my resale value a LOT. do you use anything to protect the back? How do you get the back cover to stick? That's a pretty neat idea though. I have purchased some screen protectors, but they have not come in the mail yet, so I am using it bare for now. It hurts me, bc I have always used screen protectors, but what can you do? Since i will be using a smart cover, do you guys think a screen protector is necessary? It's a matter of preference -- same as with any other device. I really don't understand people that think that keys scratch glass. A softer material will not scratch a harder material. I use stylus and a smart cover. Are we supposed to use the screen protector as well? Of course, we can do whatever we see fit. i know it doesnt hurt, but it is a technical question : are we supposed to use both? I'm the same way. For my iPhone's and iPad 2 I purchased the anti-glare one from Monoprice. Had to deal with he Cygnett one from Fry's for the Mini. decided to get the spigen SGP screen protector since they usually have pretty good reviews. I also ordered the SGP Ultra Crystal. Hoping it gets delivered today. As for the apple smart cover, I got red. It ships super quick. Don't settle for a color you don't want! 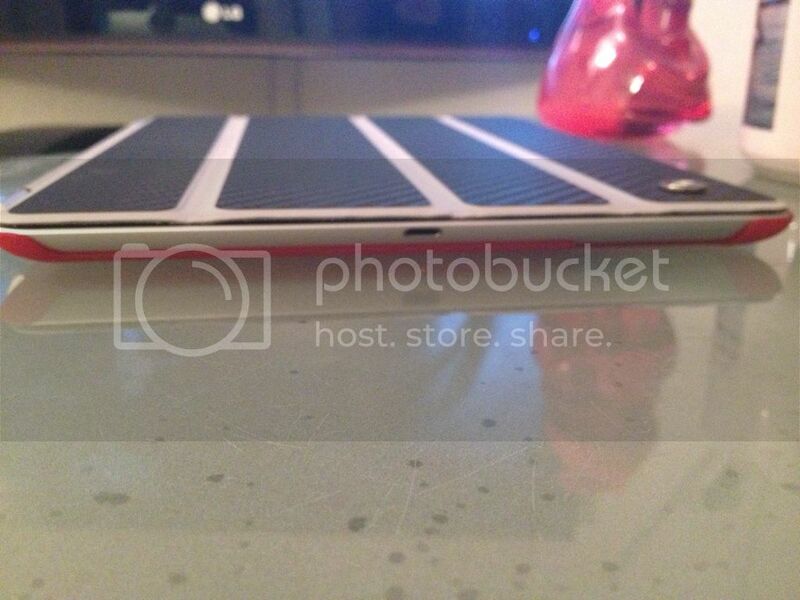 (No pics but there was a picture of a red one posted in the "what color smart cover for white ipad mini" thread. The Moshi iVisor Screen Protector AG (Anti-Glare) for iPad Mini was featured in the latest edition (Dec.2012, page 82) of MacWorld magazine. It can be washed and re applied repeatedly. It boasts, easy bubble free installation. I think I'm going to give it a try. my screen protector is getting here tomorrow. and you're right. maybe ill just make the trip to the apple store tomorrow. I have SGP Ultra Clear on now. I used iBlason Screen Protector - Matte for first few days, it made my screen look terrible and hard to clean finger print out. All problems are solved with SGP Ultra Clear. However, you might see reflection of yourself since it doesn't have glare prevention. If you use yours outdoor a lot, SGP Ultra fine might be better option. I, originally, ordered the iBlason but cancelled the order. Then I moved towards the Moshi but haven't ordered it yet. I've also been looking at the SGP. Now that I've read your comparison review I'm glad I didn't get the iBlason. From what I've read (online reviews) it's the anti glare protection that causes the visual problems. I don't mind doing without the feature, as I don't think I need it. Now, I've narrowed my choices to the Moshi and SGP. I would like something that is easy to apply and reapply, easy to remove without residue, bubble free, wears well and good overall quality. I use the TechArmor protectors. They are clear and pretty durable. I have had one on my GS III since July and don't have any scratches. The mini protectors are $8 on amazon for three of them and are prime eligible. The tech armor cut isn't the greatest. They leave too much space around the edge IMO.